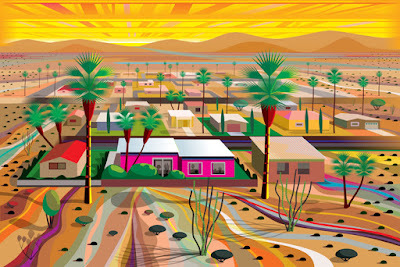 "Twentynine Palms" print. 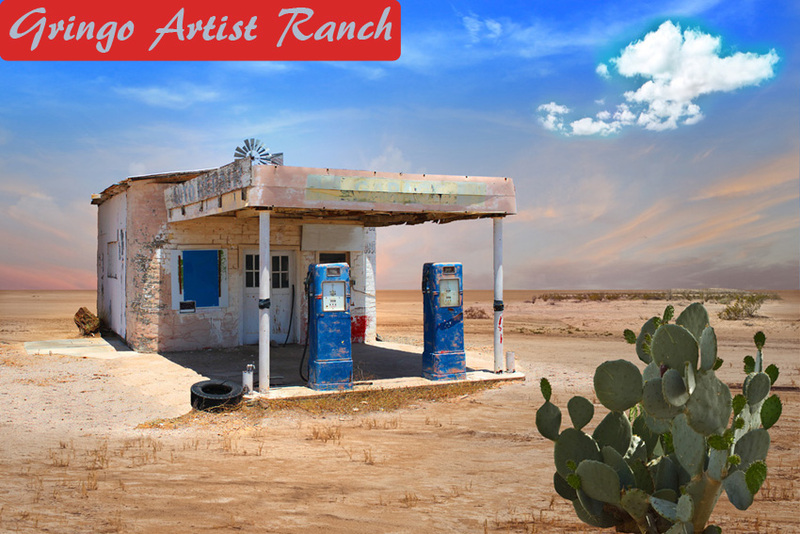 It is the result of driving through the Mojave and Sonoran deserts between Phoenix and Palm Springs at least 30 times over the last 6 months, affected by the empty landscapes and isolated settlements. Mojave Desert town at Sunset. Available at Redbubble in a variety of products.